Mrs. Virginia Pope, age 85, of Cedartown, passed away Monday, October 23, 2017 following an extended illness. She was born in Cedartown, Georgia on January 16, 1932, daughter of the late Andrew Dyer and Ruth Thompson Dyer. Mrs. Pope had lived her entire life in Polk County. 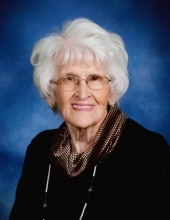 She was a dedicated member of Anna Kresge Methodist Church. She always enjoyed sharing her love of cooking and helping others at the local soup kitchen and Samaritan House. She was commonly known as “Maw Maw” to many, from the fifteen years that she operated her in-home daycare. Mrs. Pope was preceded in death by her parents; first husband, Willis Parker; second husband, W. Lloyd Pope; son, Kim Parker; brothers: Gordan Dyer, Jimmy Dyer and Franklin Dyer; sisters: Lucille Ball and Nell Hulsey. Mrs. Pope is survived by her children: Karen & Gary Zimmerman, Kathy & Tim McKelvey and Keith & Wanda Parker; grandchildren: Zachary Zimmerman, Kayla Williams, Lacey Hull, Brittney Kandell, Kacie Wright and Lexie Parker and five great grandchildren. Several great nieces and nephews also survive. Funeral services will be held Wednesday, October 25, 2017 at 2:00 PM in the chapel of Smith & Miller Funeral Home with Rev. John Giglio officiating. Interment will follow in the family lot of Northview Cemetery in Cedartown. The family will be receiving friends at the funeral home on Wednesday, October 25, 2017 from 12 noon until the service hour. The following gentlemen will be serving as pallbearers: Tim McKelvey, KJ Kandell, Todd Hull, Tyler Williams, Gary Zimmerman and Zack Zimmerman. The family has respectfully requested that flowers be omitted, and memorial contributions be made to Anna Kresge Methodist Church Building Fund, 15 Booger Hollow Road, Cedartown GA 30125. The family is also thankful for the love and dedication shown to them at Cedar Hill Assisted Living from administrators, staff and Amedisys Hospice. The Smith & Miller Funeral Home of Cedartown is honored to serve the family of Mrs. Virginia Pope. To send flowers or a remembrance gift to the family of Virginia Pope, please visit our Tribute Store. "Email Address" would like to share the life celebration of Virginia Pope. Click on the "link" to go to share a favorite memory or leave a condolence message for the family.